With a rich history stretching back to the 1800’s, Grade 2 listed De Vere Latimer Estate provides a magnificent venue for civil and commitment ceremonies. 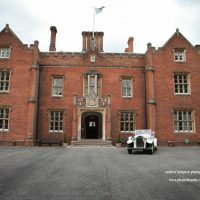 Approaching from the tree lined driveway, you gain a perspective and sense of history of this stunning country hotel. 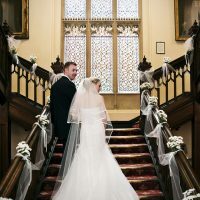 Set in 30 acres of tranquil Buckinghamshire parkland, the hotel boasts several traditional features including the grand staircase and ornate fireplaces. Recently bought up to date, it presents an atmospheric fusion of contemporary services with historic character. 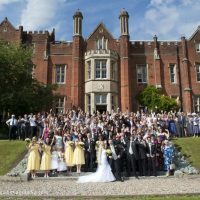 Recognising that every celebration is unique, the dedicated wedding team can help you tailor the perfect celebration to suit your tastes and needs. De Vere Latimer Estate is perfect for small intimate gatherings through to large gatherings of up to 200 guests. 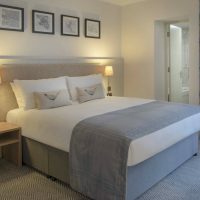 Offering 197 contemporary and beautifully furnished en-suite bedrooms, there is plenty of room for your guests to relax following the excitement of the day. Using only the freshest locally sourced ingredients, the catering team provide a flexible approach to menu creation. Chat with the head chef to discuss your preferences and create a bespoke menu that will tantalise your taste buds. To fully unwind prior to or following the grand event, take advantage of the leisure facilities on site including, swimming pool, sauna, steam room, and gym. Alternatively enjoy a stroll throughout the picturesque private gardens and take in the views of the surrounding countryside.